After posting my top four ways to stay organized blogging on Wednesday, many of you shared your own favorite strategies to keep your blog and business running smoothly. Wendy over at Morning Business Chat asks questions to her Facebook group, which inspires many of her blog post ideas. The blog This Blue Dress has six different authors; while this could get quite confusing, they’ve devised an organization system based around a shared excel calendar. And this strategy helps them stay on the same page about what and when to promote content. Such great ideas! In addition to sharing organizational tips, however, a few of you also mentioned outsourcing certain jobs. Essentially, by hiring virtual assistants and marketers to take care of the administrative end, you have more time to focus on creating great content for your readers. What’s not to love about that? Inspired by Wendy’s tip, I decided to build on your idea of virtual assistants and focus on the topic of balance at work. 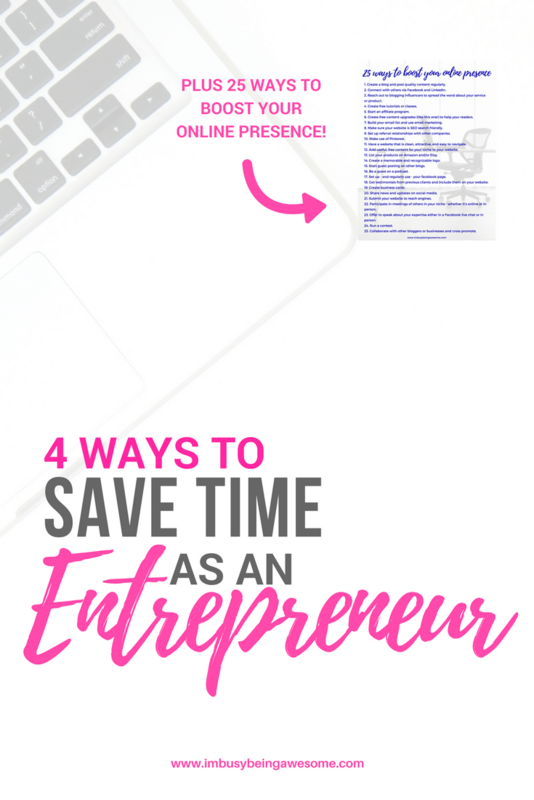 So today, we’ll explore 4 outsourcing services that entrepreneurs and bloggers can utilize, in turn lifting the administrative burden and getting back to doing what they love. There is no way around it; if you want your business to succeed, you need to advertise. After all, how will you find great readers or clients if they don’t know you exist? It’s also no secret that marketing and advertising are quite time consuming. And as I mentioned above, this could be valuable time spent improving your business instead. 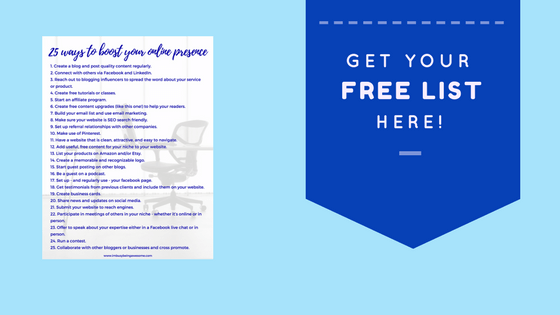 Want to boost your online presence? Check out my list of 25 easy ways to advertise your website here! Here’s the deal; all entrepreneurs and businesses, regardless of their niche, require a functional and attractive website. You need this platform to communicate with customers, let them know about your products or services, and encourage them to get in touch. If you’re new to the world of blogging or online business, however, this can feel pretty overwhelming. Fortunately, there are many experts out there who can keep your website current with the latest trends. So whether you just need help with the initial setup, or you’re looking for an ongoing relationship, there are virtual assistants out there who can keep your web presence strong. We are an increasingly global society; with the continuous advancements in technology, many of us find ourselves connecting with people from all over the world. And this is incredible! The challenge, however, can be clear communication with readers or clients who might not speak the same language. Once your business starts reaching this wider swath of customers, you may consider collaborating with a translation specialist to make your site as accessible as possible. Yes, there are plugins and tools like Google Translate that work for small projects. But once a big portion of your clients/readers speak a different language, I’d recommend contacting a specialist like those at lighthouseonline.com, where you can guarantee clear and accurate translation every time. The final component you might consider as an online business owner is outsourcing some of your website’s content. Whether this means creating a catchy sales page or writing blog posts, there are many talented writers out there who are happy to create copy and make your business shine. So whether you’re a blogger, a business owner, or both, this is a great way to bring in a fresh voice and/or share a new perspective relevant topics to your niche. So now you know what’s available, but where can you find help? Fortunately, there are many different resources out there. Entrepreneur.com offers a list of 101 places to find freelance jobs; while you’re not looking for a job, these sites are still relevant, as they let you advertise to potential employees who are. So scroll through the page, check out what looks good to you, and start reaching out! Looking for ways to advertise your business? 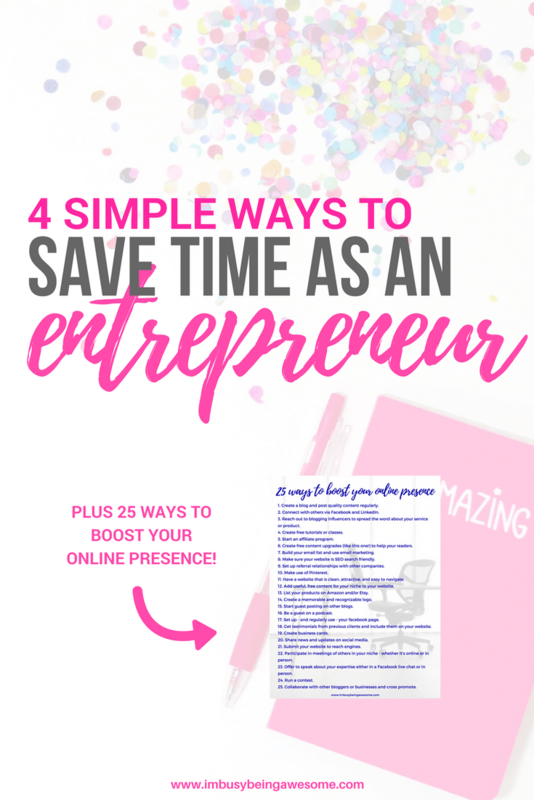 Check out my list of 25 effective strategies to boost your online presence here! Do you outsource anything as a blogger or entrepreneur? If so, what outsourcing services do you use? How did you find them? If not, how do you manage the different responsibilities of your business? Share you tips below! So far I have not outsourced anything … but these are some great resources for entrepreneur. Yes! Outsourcing my website technology and development has been the best decision I’ve ever made! Great tips, Evelyn. Thank you! One thing I would like to do more of is features and guest writers. It definitely would take a load off to do that a couple times a month!